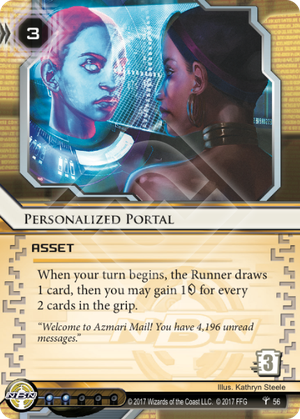 Before you get all hyped about this card, you need to realize that it does ABSOLUTELY NOTHING WHATSOEVER until the runner would have 7 points if it wasn't there. That's right, this is a 2-point liability that offers zero economy, zero pressure, zero benefit to the corp whatsoever (but a large benefit to the runner if they're that one guy who still plays Iain Sterling). As an active liability with zero benefit, it's a serious contender for worst card in the entire game. If you see this as a runner, calmly ignore it entirely unless the corp leaves it exposed with no upgrade, or if you snipe it from a central and can afford the trash cost. You don't care about it at all until you're on seven points, and if you go for it early the corp will have an easier time scoring. When the runner hits 5 points before the Board modifier, now trashing it wins them the game. The corp needs to scramble to protect this at all costs, or blow it up with Self-destruct... again, before it's actually benefited them in any way whatsoever. All of this is no doubt making it incredibly hard to score, so the corp needs to work out some kind of miracle flatline victory in the meantime. 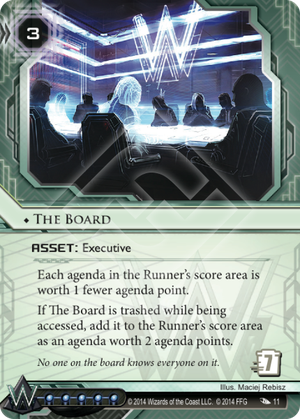 The Board does have a hefty trash cost of 7, and that's its one saving grace, but that won't actually come into play if you're forced to blow it up to save it. Forcing a runner to go through a server after this has its benefits, but those benefits are much more cheaply realized by an MCA Austerity Policy or IT Department, and those actually leave the server you paid so much into intact afterwards. 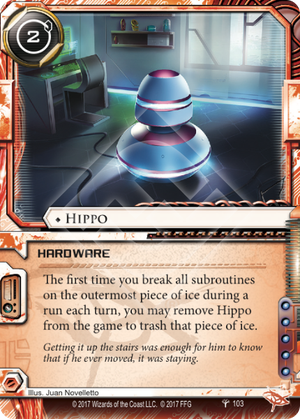 At 7 would-be points, this card becomes the whole game. 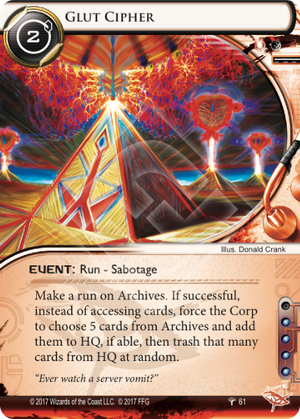 The corp can no longer trash it themselves, and the runner will be going after it with everything they've got. The corp's best plan at this point is to just put all resources on guarding the Board while throwing 1-pointers behind a token amount of ice just to keep the runner from accumulating resources. I can't really see this plan resulting in success outside of the surprise Biotic Philotic play. I am sure other players have noticed an incredibly powerful combo with this card after the release of Contaminate. Click -> install Chakana. Click -> play Contaminate. Click -> ruin the Corp's day. Maybe not the most powerful two card/two click combo... but no Corp player will feel good sacrificing an entire turn to purge the virus counters off there. Even if they do, you are always free to run R&D again and load it back up. You do want to run R&D, right?